Lakeside natives whose lives are challenged by physical, mental or emotional disabilities have a new opportunity for rehabilitation through an equine therapy program coming together under the auspices the Chapala DIF Family Development agency and non-profit organization Centro de Equitacion Terapeutica Nuevos Pasos “Pepe Martinez”, A.C. The organization is named in honor of Jose Antonio Martinez Gomez, a 14 year old boy who passed away January 10 from injuries sustained last November when he was mowed down by a drunk driver while out horseback riding near Cruz de la Soledad. The mastermind of the project is Eduardo Lara, a local physical therapist who helped train Jalisco athletes for the 2011 Parapan American Games and last year’s Paralympics in London. He has also worked with Mexico’s leading equine therapist, Blanca Mayor. Lara introduced Chapala first lady Marisela Navarro to the concept of equine therapy several months ago. While she recognized its immense value to the many disabled people who seek specialized care through DIF, the project didn’t crystallize until she approached Miguel Martinez, grieving father of the recently deceased teenager. 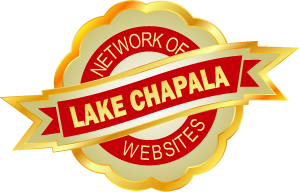 He readily offered his support, providing free use of four gentle horse and working space at his Chapala ranch. An informal demonstration put on at the Martinez homestead two weeks ago has set the project in full motion. DIF already has a list of 25 patients anxious to begin mounting up under the guidance of an interdisciplinary team of specialists and two assistant horse handlers. Lara and Martinez plan to put on several demonstrations at the Carnaval fairgrounds as a prelude to the official inauguration of the Pepe Martinez Equine Therapy Center.